IMPALA 2008. Make / ModelCHEVROLET IMPALA. IMPALA 2014 -2016 VIN W (4th digit, Limited), w/o illumination; R. IMPALA 2006 -2013 w/o illumination; R. No labor warranty is provided. Part also fits. West Coast Auto. 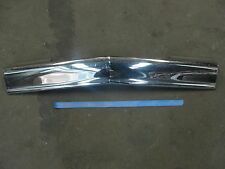 For 1969 - 1970 Chevrolet Impala Base. Premium Auto Folding Shade. The multi-layered construction reduces the inside temperature by as much as 40 degrees Fahrenheit. Product View. 1997-2001 Chevrolet Lumina. LS, LTZ, LTZ 4 DOOR, LUMINA, MONTE CARLO, Z34. 2000-2001 Chevrolet Impala. 6 Cyl 3.1L, 6 Cyl 3.4L, 6 Cyl 3.8L. 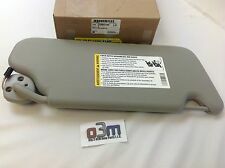 HERE FOR SALE, WE HAVE A GENUINE/FACTORY OEM, MED GRAY SUN VISOR ROOF CLIP, FOR A 2000 - 2005 CHEVROLET MONTE CARLO & IMPALA. THIS ITEM IS IN EXCELLENT USED CONDITION, WITH ONLY SOME MINOR AGE RELATED WEAR, AS SEEN IN OUR PICTURES. ALL MOUNTING IS INTACT. These are for a pair of Tan Sunvisors. 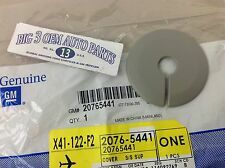 These are for an 1970 Chevy Caprice or Impala. There are no cracks. Parts have been cleaned and are ready for installation! 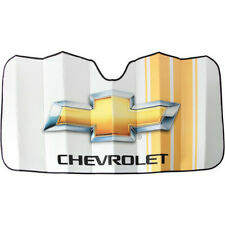 (2) 1970 Chevrolet Chevy Caprice Impala Tan Sunvisors OEM. 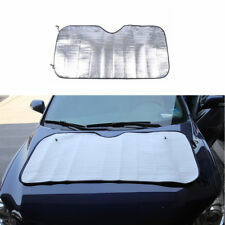 Intro-Tech Bubble Custom Car Sunshade For 1969 - 1970 Chevrolet Impala Base. Computer precision cut for a custom fit, it reduces inside temperatures up to 35 degrees Fahrenheit. It protects leather seats from becoming hot and cracking while keeping the steering wheel and shift knob comfortable to the touch. 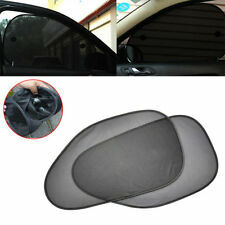 Intro-Tech Bubble Custom Car Sunshade For 2014 - 2016 Chevrolet Impala Base. Computer precision cut for a custom fit, it reduces inside temperatures up to 35 degrees Fahrenheit. It protects leather seats from becoming hot and cracking while keeping the steering wheel and shift knob comfortable to the touch. 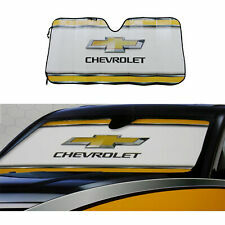 Coverking Custom SunShield For Chevrolet 2014-2015 Impala. The ultra has a unique 3 layer construction. The top layer is a polyester 300 denier fabric with silver polyurethane coating to reflect most of heat and radiation. That's right, this pre-owned driver sunvisor could be yours! This driver sunvisor is in good condition and was removed carefully when it was pulled. You will receive the part pictured above, and the photos provide an accurate image of condition. Intro-Tech Bubble Custom Car Sunshade For 1971 - 1976 Chevrolet Impala Base. Computer precision cut for a custom fit, it reduces inside temperatures up to 35 degrees Fahrenheit. It protects leather seats from becoming hot and cracking while keeping the steering wheel and shift knob comfortable to the touch. 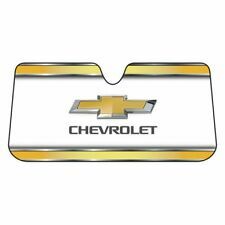 Intro-Tech Bubble Custom Car Sunshade For 1958 - 1960 Chevrolet Impala Base. Computer precision cut for a custom fit, it reduces inside temperatures up to 35 degrees Fahrenheit. It protects leather seats from becoming hot and cracking while keeping the steering wheel and shift knob comfortable to the touch. Covercraft UVS100 Sunscreen - Carhartt For Chevrolet 2014-2016 Impala Limited. This premium quality, custom patterned folding sunscreen features the iconic Carhartt logo with a brown reflective finish. That's right, this pre-owned passenger sunvisor could be yours! 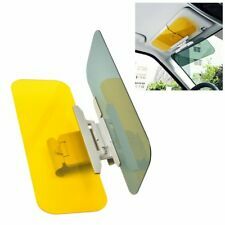 This passenger sunvisor is in good condition and was removed carefully when it was pulled. You will receive the part pictured above, and the photos provide an accurate image of condition.